Welcome back, Dylion! …Or is he? Sorry about the interruption, but fear not, the conversation will continue on Monday! Pssst! 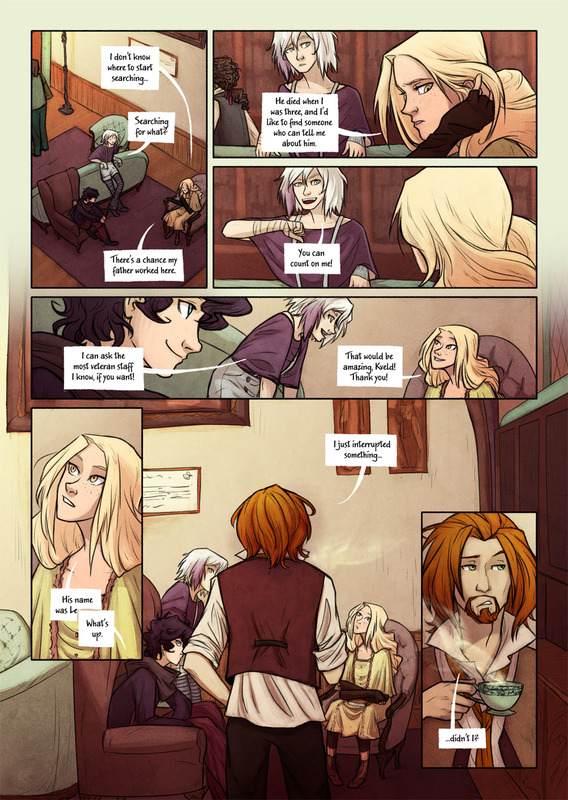 If you read Tistow you might find someone familiar in this page! DAMN IT, DYLION, YOU SASSY TEA MAN. SASSY TEA MAN. He’d like that. See? Someone like Kveld might say or do the wrong thing sometimes but she’s a good person and would never intentially hurt a friend.